Our Rental bike fleet for 2019. We are proud of starting every season with a fresh fleet of Scott rental bikes in size S to XL. 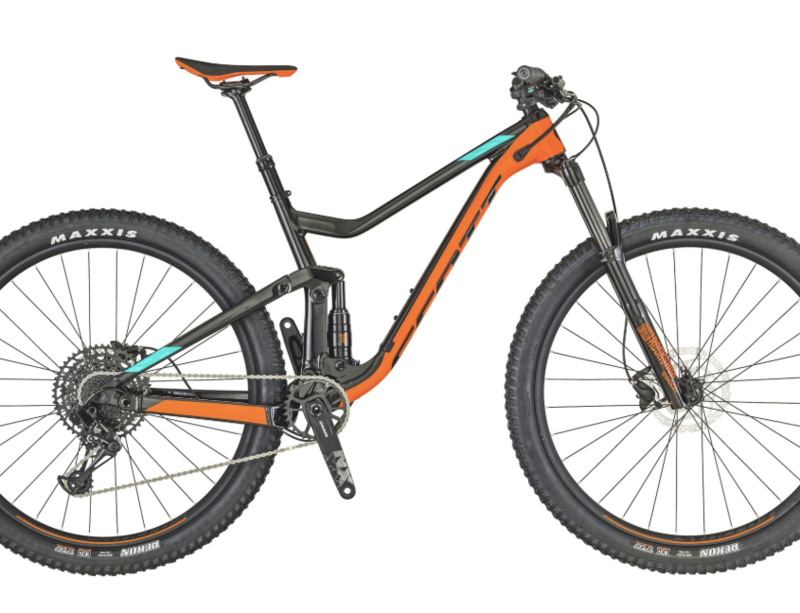 This season we have chosen the Scott Genius 760 as the do it all trails bike. This 27,5″ Plus World Cup inspired Trail bike is Blending the lightweight lineage of a dedicated race bike, with the single track chops of a 150mm travel ripper, this bike is up for anything. With updated genius frame design features, a Sram 1×12 drivetrain plus Syncros components, this Spark is sure to light a fire. We are running 2,8 plus tires & 120mm dropper post on all of the bikes.